The main Forum program & reception on March 19 will take place at The Austin Club, which is housed in the historic Millett Opera House in downtown Austin. A paid parking garage is available. 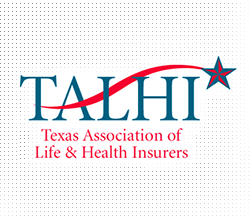 The working breakfast and post-lobby visit debrief lunch on March 20 will take place at TALHI's office, directly across the street from the Capitol. Participants will walk over to the Capitol for legislator visits after the working breakfast. Limited paid street parking is available. TALHI has a limited number of discounted rooms at the InterContinental, which is two blocks from The Austin Club and three blocks from the TALHI office. Book online or call 1-800-235-4670 and mention TALHI when you book for a discounted $249+tax rate. Other nearby hotels include The Driskill and The Omni.